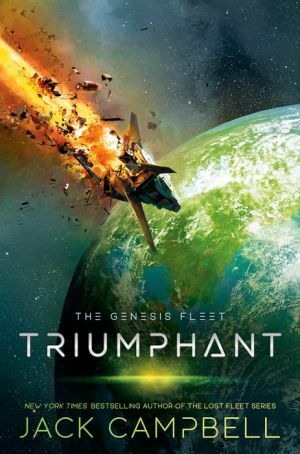 A young fleet officer and a Marine must stand together to defend their neighbors and their colony in this return to the powerful and action-packed Genesis Fleet saga from New York Times bestselling author Jack Campbell. The recently colonized world of Glenlyon has learned that they're stronger when they stand with other star systems than they are on their own. But after helping their neighbor Kosatka against an invasion, Glenlyon has become a target. The aggressive star systems plan to neutralize Glenlyon before striking again. An attack is launched against Glenlyon's orbital facility with forces too powerful for fleet officer Rob Geary to counter using their sole remaining destroyer, Saber. Mele Darcy's Marines must repel repeated assaults while their hacker tries to get into the enemy systems to give Saber a fighting chance. To survive, Glenlyon needs more firepower, and the only source for that is their neighbor Kosatka or other star systems that have so far remained neutral. But Kosatka is still battling the remnants of the invasion forces on its own world, and if it sends its only remaining warship to help will be left undefended against another invasion. While Carmen Ochoa fights for the freedom of Kosatka, Lochan Nakamura must survive assassins as he tries to convince other worlds to join a seemingly hopeless struggle. As star systems founded by people seeking freedom and autonomy, will Kosatka, Glenlyon and others be able to overcome deep suspicions of surrendering any authority to others? Will the free star systems stand together in a new Alliance, or fall alone?